Working@Duke is the university's award-winning print publication, providing news and information staff and faculty can use in their work and lives. 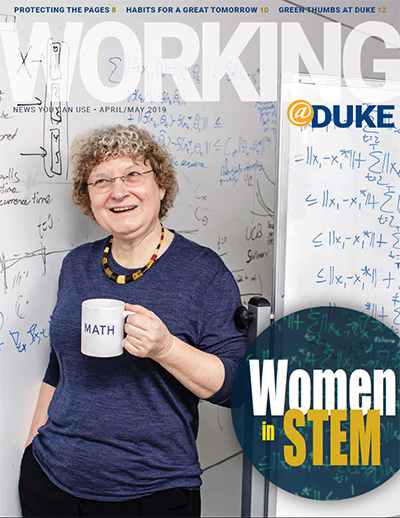 Working@Duke is published every other month by Duke's Office of Communication Services. This page serves to provide the community with an archive of the print issues from 2006 to present. For past issues, please see the Working@Duke archive. Do you have news to share with Working@Duke? We welcome your contributions and love hearing from you. Please share your news here. For daily news and information, visit Duke Today.